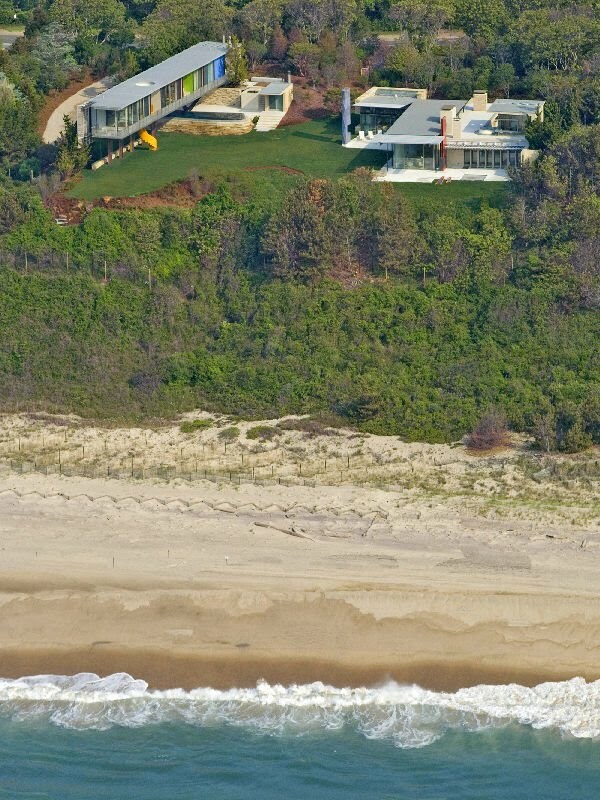 Case Study House inspired residence in Montauk, New York. Built for a couple, the main house is composed of a pair of opposing "L" shaped wings: "his" space is a steel and glass loft on the ocean and "her" space is a warm, enclosing set of brick and wood private rooms. 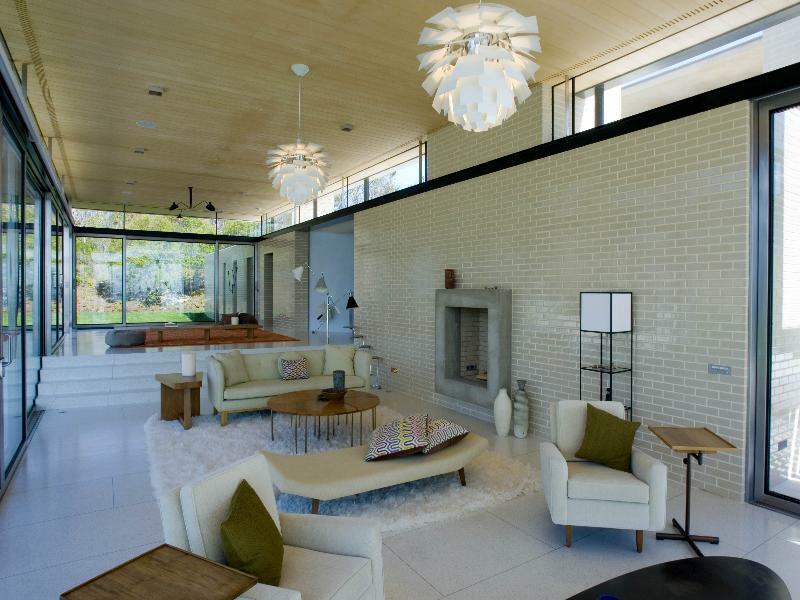 The materials—stone, terrazzo flooring, glazed brick walls, teak, stainless steel and terracotta—are the robust stuff suitable for both interiors and exteriors. 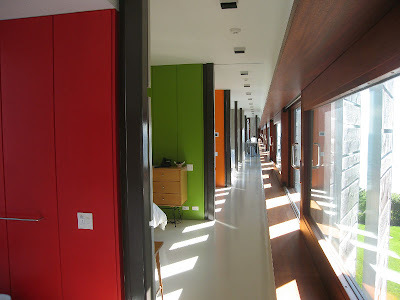 The realization of such a remarkably transparent and open house, one that literally opens to the outside with enormous sliding glass walls, is quite a technical feat in an environment as harsh as the northern Atlantic shore. 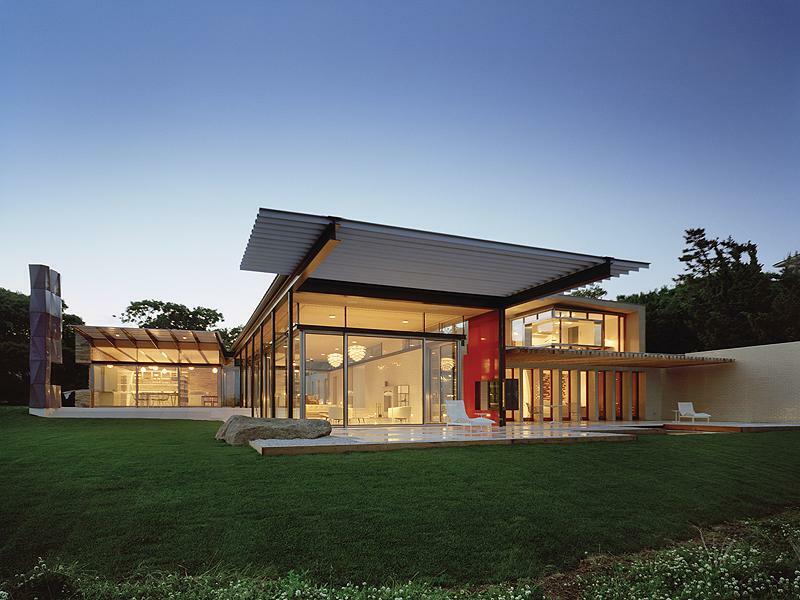 The radiant heated floors, geothermal wells, highly engineered glass and doors, along with fine construction tolerances contribute to the efficiency and comfort these houses offer in all seasons. The inspiration for the house came from a trip to California to visit icons of mid-century architecture, everything from Irving Gill to Schindler to Neutra and Eames. 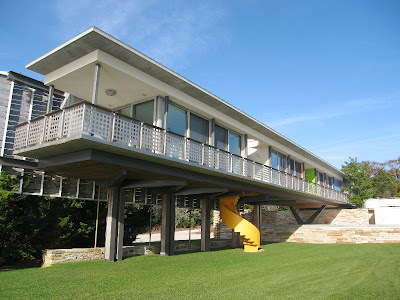 The house was always going to be modern and robust, but after the trip a common language developed, as well as a whole catalogue of comparisons—references could easily be made to the glass wall in that Neutra house or the roof overhang at that Schindler house—and it was agreed that a Case Study House should be built in New York. Although the couple enjoys having guests, they also value their privacy. 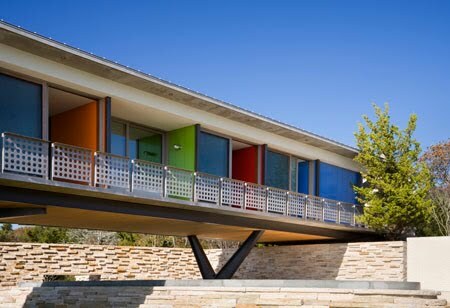 The guesthouse, supported on steel beams the strength of which allows the house to appear light and airborne, is modeled on a motel with access to all rooms off a continuous balcony facing the courtyard. Guest rooms are differentiated by color. 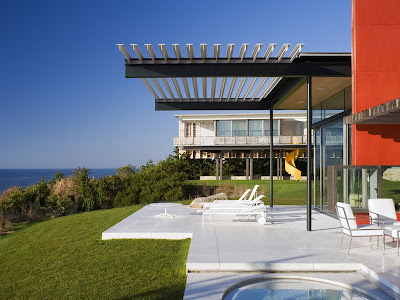 The louvered side of the house preserves the ocean views while concealing the neighbor's new “shingle style” house next door and allowing for air circulation. Interiors of white linoleum, beach–ball colored wood walls and exposed concrete keep the sense of solidity without the luxuriousness of the main house materials. 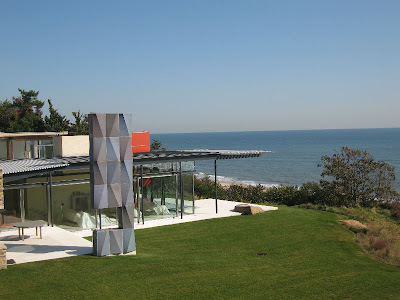 The partly shaded pool (in deference to the easily sunburned husband) and the raised cube of the hot tub offer ocean views without permanently dominating the center of the composition. This fine home is currently on the market for a whopping $29,500,000 through Sotheby's. If you get a 30 years loan, with no money down, at an interest rate of 5.25%, your "monthly payment" is going to be around $201,691.00 including property taxes. Unfortunately this is a bit beyond our means. A beautiful home never the less!